Built in 1764 before the start of the American Revolution, Whitehall was home to Horatio Sharpe, the last Provincial Governor of Maryland. 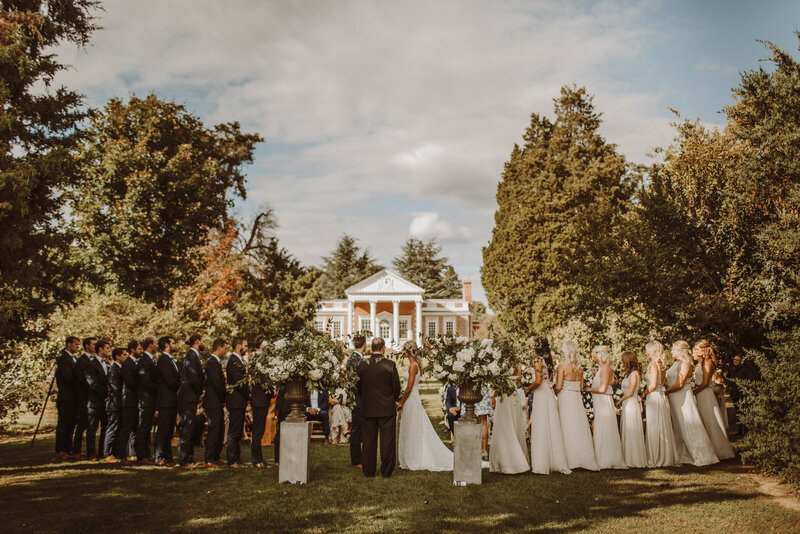 The house stands as the finest example of Palladian architecture in the country and was the first National Historic Landmark to be designated in the state of Maryland. Whitehall remains remarkably preserved with over 100 acres of gardens, fields and park lands. The house is set on a mile and a half of Chesapeake Bay shoreline and is one of the last significant open waterfront spaces in Annapolis. 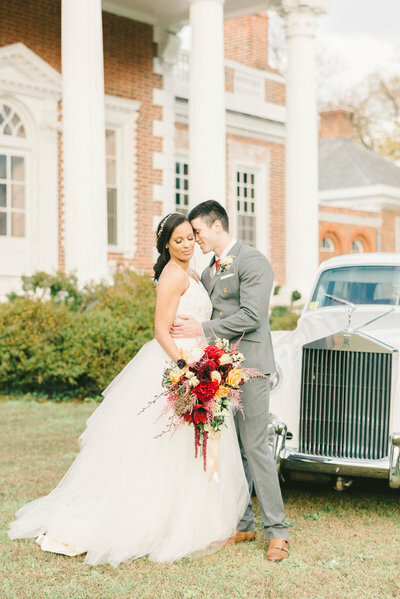 Family, Fun, Love, Joy, and Happiness were all in abundance on this beautiful fall day at Whitehall for Kristen and Jake’s amazing wedding and reception. 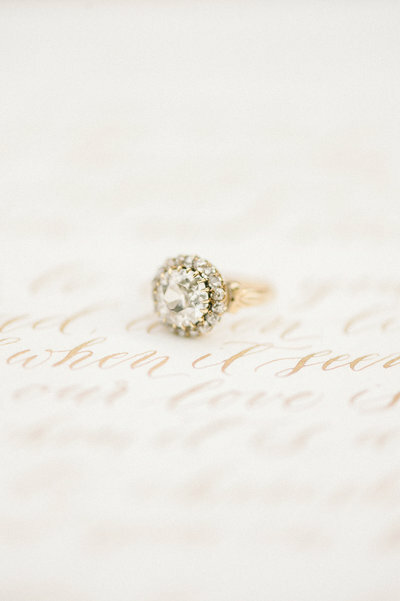 There was so much love and laughter in the air, everyone wanted to savor and enjoy all the sights and sounds. A truly magical evening at Whitehall – one that everyone will remember for a very long time! 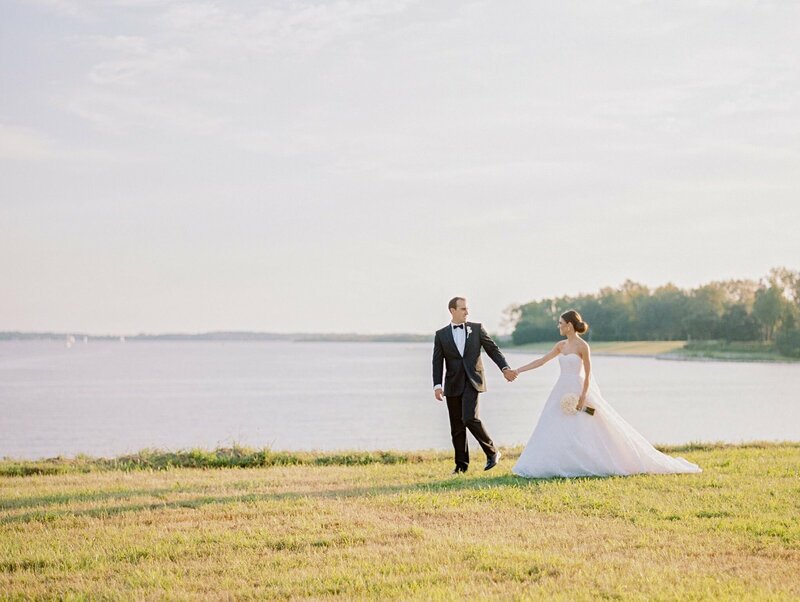 Christina and Colton celebrated their wedding ​on a beautiful September day. 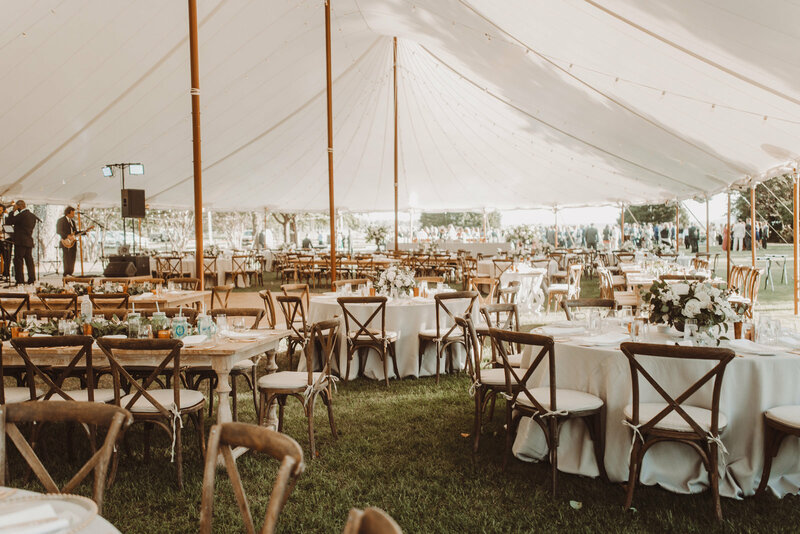 The ​ceremony area and tent area were brilliantly styled ​using roses, jasmine vine and magnolia​ to create a greenery filled event with tasteful outdoor beauty. 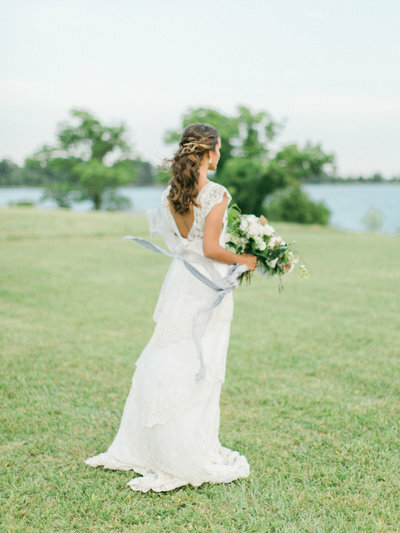 The couple's ceremony featured ​a walk from the front steps of Whitehall facing towards the water to highlight the beautiful view of the Bay. 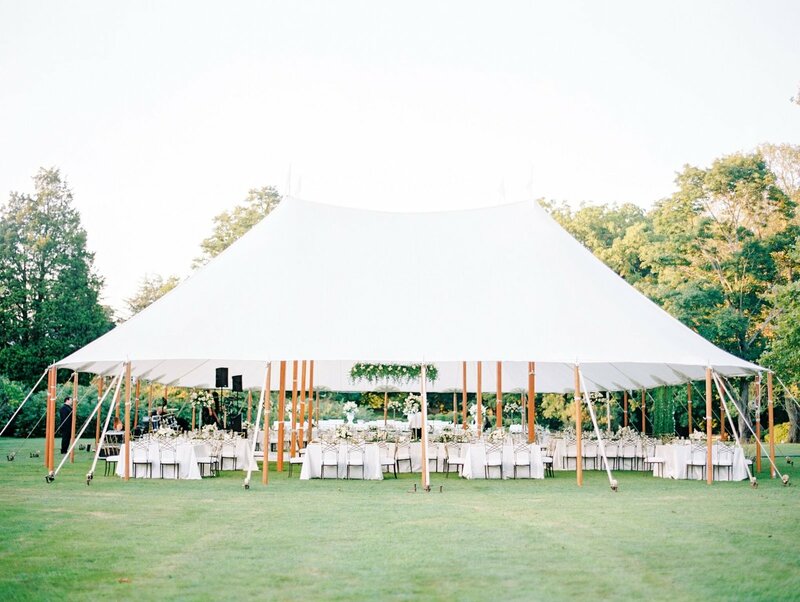 Surrounded by a gorgeous historic colonial mansion, the bucolic fields of Whitehall are a perfect setting for the Bride & Groom who dream of a spacious, elegant wedding. 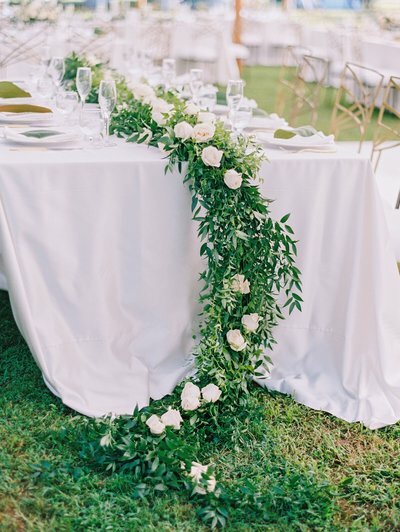 Inspired by simple, organic colors with a neutral selection of ivory, grey and green, one can imagine a simple, understated and romantic design that is effortless yet elevated in its styling. 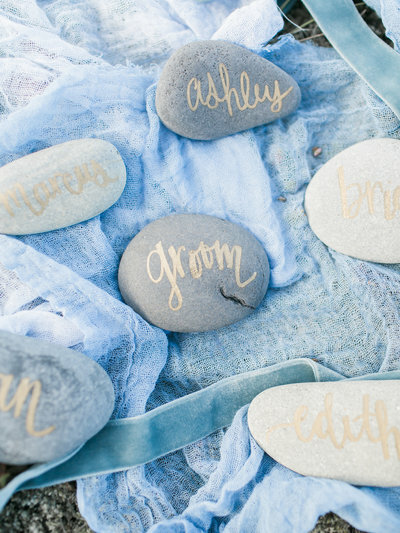 For Margaret and Gibbs, the evening was full of family and great friends, fun, laughter and lots of love! 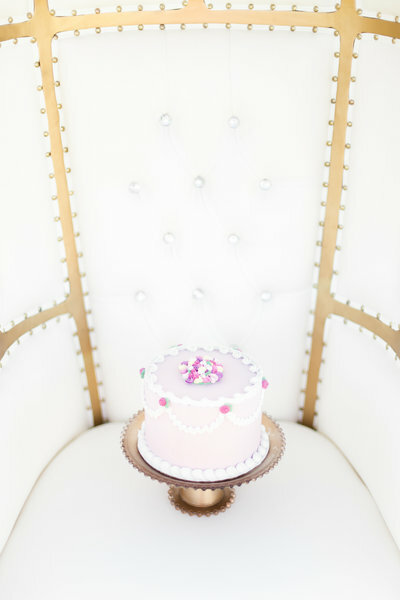 Joy, Southern charm and luxury were in abundance for their late June celebration. 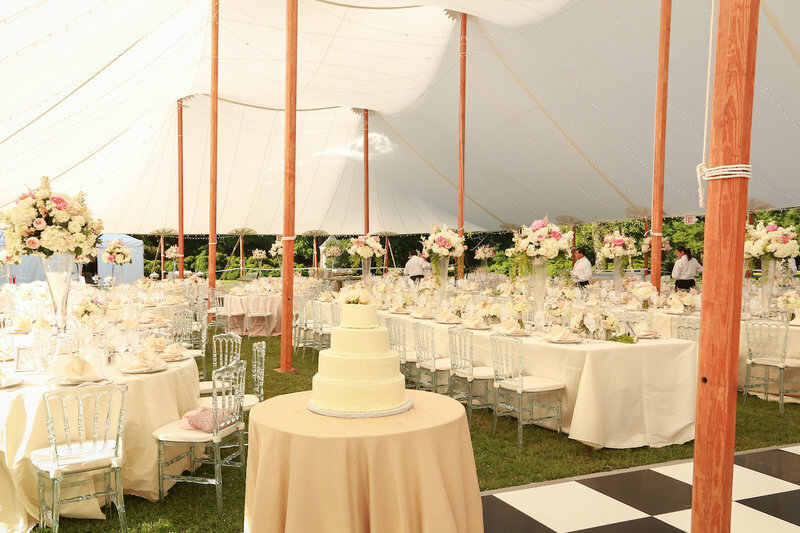 The bride and groom and their guests enjoyed a tent filled with a bountiful “southern” buffet, delicious caramel wedding cake, beautiful flowers, great music and a full dance floor. 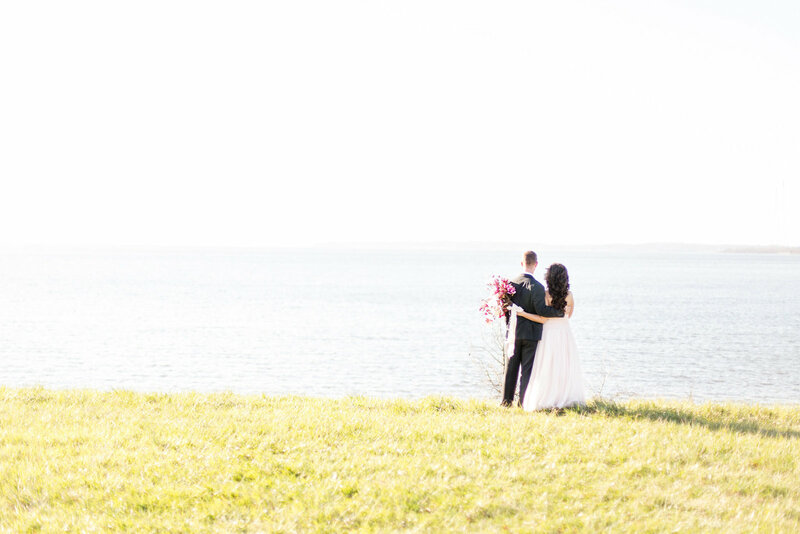 Guests also took the opportunity to wander along the path to the waterfront to enjoy the perfect sunset overlooking the shores of Whitehall Bay. As a photographer, it was a delight. There are so many beautiful back drops with lovely old trees and large blooming shrubs. I particularly loved the mowed path to the water's edge to view the sunset. We had our wedding at Whitehall in June 2016 at it was absolutely perfect!!! It's an amazing spot for a wedding!!! Our daughter was married at Whitehall in June. It was wonderful. 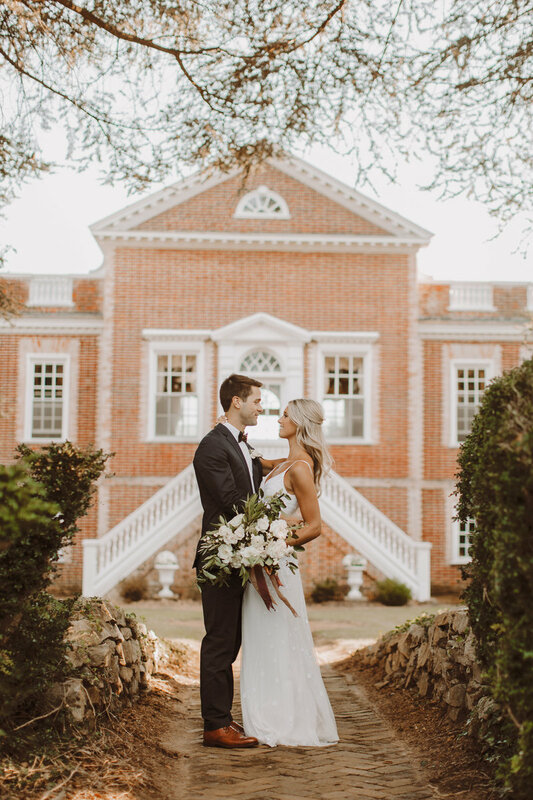 Christie, who represents Whitehall and works with the bride, and John, the caretaker of Whitehall, were both wonderful, cheerful, helpful, quick to respond, and worked well with our family as a team... We are so thrilled that we picked Whitehall. 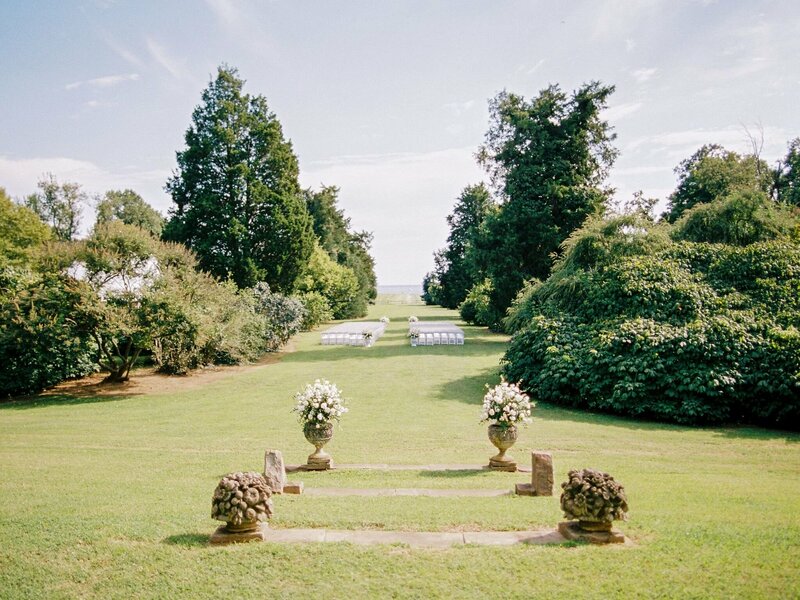 It is such a lovely place to have a wedding, reception or any special occasion.